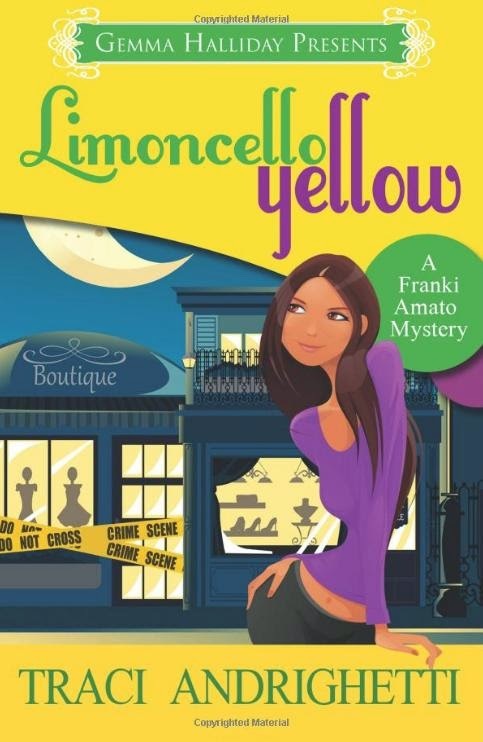 Limoncello Yellow is the first book in the cozy-murder-mystery Franki Amato Mystery Series. The protagonist, Francesca (Franki) Amato, is a first generation Italian-(Sicilian)-American in the United States. She grew up in Houston, Texas, with her parents, brothers, and her very-Sicilian paternal grandmother. 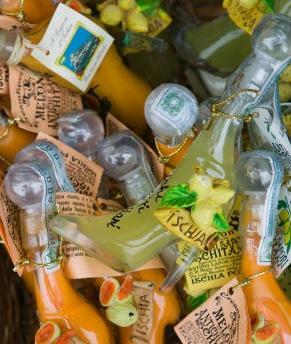 All that wonderful Italian ethnicity enriches Limoncello Yellow. The first chapter of Limoncello Yellow introduces us to Franki, her family, and to her love-life and career problems. Franki decides to take a leap to a new profession with an old friend. 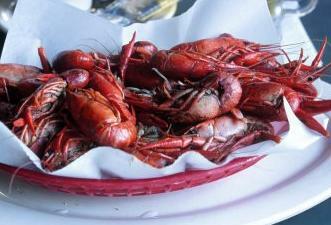 That's when the murder-mystery begins, in New Orleans, Louisiana. Throughout Limonello Yellow the author shows the reader the New Orleans sights, and introduces the reader to the city's unique culture. First-person narration by Franki puts us in the protagonist's head. We come to understand the saucy, sassy, brassy, but basically terribly insecure Franki Amato. To be honest, at times I did not want to be in her head! I would have liked seeing Franki from someone else's perspective. But Franki's insecurities, excessive drinking, slothful habits and questionable detecting skills create plenty of opportunities for humor. "You're a born cop, Frank. I mean, you still need some experience and all, but you come from a Sicilian family, and you grew up in Houston. If you don't know crime, who does?" she joked, trying to raise my spirits. "Verrrry funny. Need I remind you that you're half Sicilian too?" I asked, half-heartedly playing along. 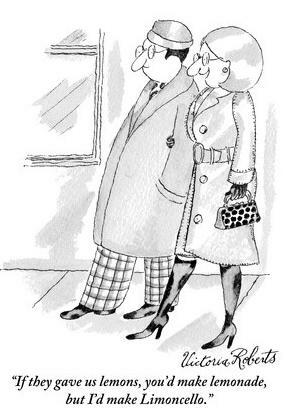 "Yeah, but I'm also half Swedish, which tempers the Italian-ness, so you're screwed." "You're just a laugh a minute, you know that? I tell you what, let's leave ethnicity out of this," I replied, as though I believed that were possible. The cover of the book is very cute, as is the title Limoncello Yellow. The e-book layout is very clear and well-edited, with distinct paragraphs that begin with indents. I have noticed that some e-books lack clear definitions between paragraphs, which makes it very difficult to separate dialog blocks and to know which character is speaking. 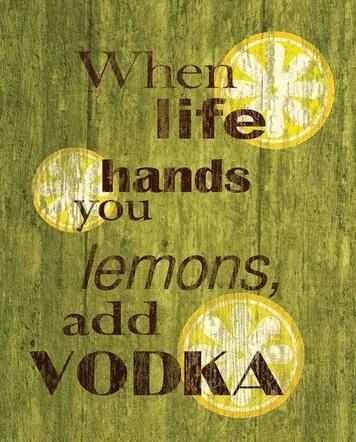 That is not a problem with the Limoncello Yellow review-copy e-book I read. I would have preferred the non-English words italicized, for clarity and ease of reading. "There are still a lotta nice Sicilian boys in New Orleans..."
Italian culture has a central role in Franki's and Veronica's identities. They have embraced the language of their families (well, Italian with some Sicilian words), and the food, wine, and fashion of Italy. Franki is dead-set against getting involved with an Italian-American guy, based on her in-depth knowledge of that "species". Both women are lapsed Catholics but "once a Catholic, always a Catholic", which created, for me, one of the best laugh-out-loud moments of Limoncello Yellow. I won't say more, so as not to spoil it for anyone. The women both recognize that "a Sicilian grandma is a formidable opponent". Is this a so-called "chick-lit" book? There are many mentions of clothing designers and popular culture. Franki consumes too much high-calorie food and strong alcohol. A love-life is in a mess and we get a "cute-meet" and a potential romance. Plenty of female characters deal with home, work, family and men, all with a strong dose of sarcastic and self-deprecating humor. But in Limoncello Yellow, the women also have to deal with crime and murder. When she's not investigating, Franki is hoping to seduce handsome bank executive Bradley Hartmann, but most of her time is spent dodging date offers from a string of "good Italian boys"—make that not-so-good aging Italian men—that her meddlesome Sicilian grandma has recruited as marriage candidates. As Mardi Gras approaches and the mystery of the murdered shop girl gets more complicated, Franki must decipher the odd ramblings of a Voodoo priestess to solve both the murder and the mystery of her own love life. 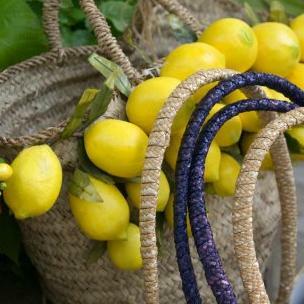 Limoncello Yellow is published by Gemma Halliday Presents. We are a boutique publisher of light-hearted mystery, romantic suspense and romantic comedy novels, perfect for popping into your beach bag for a weekend away or cozying up beside a warm fire for a quiet night in. You can purchase the Limoncello Yellow e-book via Smashwords in various e-book formats. Smashwords is a major on-line e-book seller, that charges no surcharges for delivery of e-books outside-the-U.S., unlike some e-book sellers. 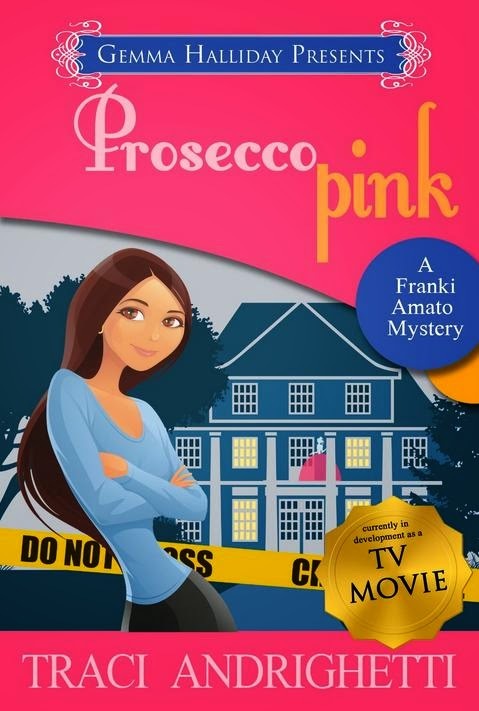 The second book in the series is now out: Prosecco Pink (Franki Amato Mysteries Book 2) . Book three in the series is Rosolio Red. 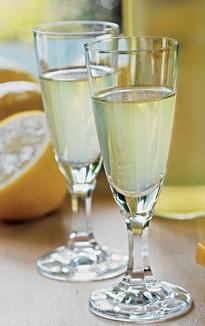 Limoncello is not difficult to make. Here is an entertaining instructional video made by some East-Coast U.S. Italian-Americans, clearly proud of their heritage, and rightly so! Grazie mille for the review! I really like the way you break the book down. Fantastico! Prego! E grazie per il libro! I wish you continued success with the book (an e-book star at Amazon), and will snap up book two when it comes out.